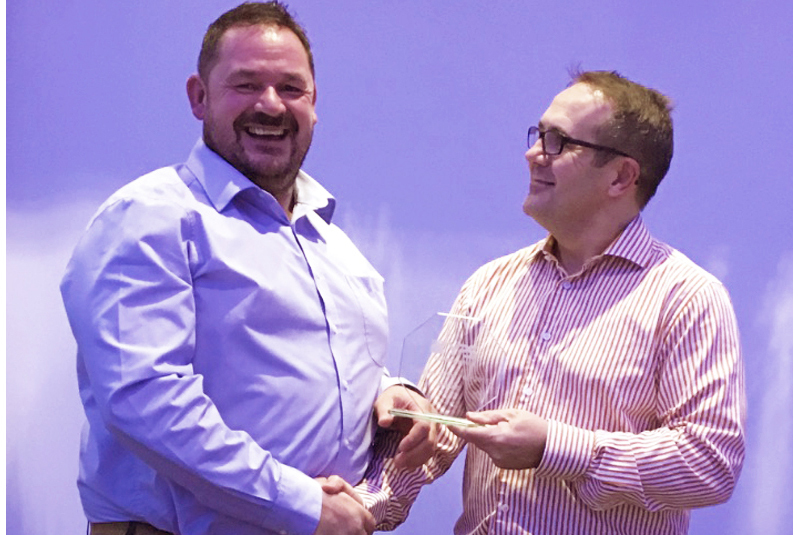 In recognition for outstanding levels of service, Ariston has been named ‘Supplier of the Year’ at the annual YPS Plumbing Supplies Awards in December. All the senior and branch managers from YPS Plumbing Supplies – the specialist plumbing and heating division of Bradfords Building Supplies – voted in the awards, which saw Ariston emerge victorious in the face of some strong competition. Mark Eburne, CEO of Bradfords Group, presented Peter Lee, Area Sales Manager for Ariston, with the Supplier of the Year trophy. There are 23 dedicated branches of YPS Plumbing Supplies in the UK, from the south coasts of Devon and Cornwall to Penzance and Worcester. Ariston has been working with the company for over a year, supplying every branch with its full range of heating and hot water products, including ONE Series boilers, the Andris Lux range of electric water heaters and a variety of cylinders. Ariston is said to support YPS Plumbing Supplies in a wide variety of activities, including merchant open days, breakfast mornings and networking events. This is assisted by marketing support, bespoke product literature and joint customer visits. Plus, the Ariston display and training vehicle (DTV) frequently visits YPS Plumbing Supplies stores, offering exclusive product demonstrations and training sessions.